. Published on April 4, 2018. FairClaims provides peer-to-peer mediation for disputes which can be done from the comfort of your own home. This is something that can be a great tool for those who are serious about finding a resolution and would like to talk it out with the assistance of a Mediator. This concept, at times, is hard to resonate with some, due to the gravity of the situation and the emotions that are carried along with it; and often for good reason. Times sure are changing; schools are starting to bring this approach of peer-to-peer conflict resolution to the forefront. Amongst many others, Fair View High School in Chico California is bringing back the peer mediation group. Managed by School Counselor, Mike Carroll and retired Chico police Officer, Lori Kligerman, was once solely managed by Carroll 25 years ago. This program even then was successful for more than 10 years. The students voluntarily take an after-school class at the school, lasting one hour each week. During this time, they are given the tools to resolve conflicts in their new roles as peer mediators. FairClaims creates a safe online forum for both sides to be heard and talk about their dispute all while having the support and management of an unbiased mediator. Students are doing this for their peers. 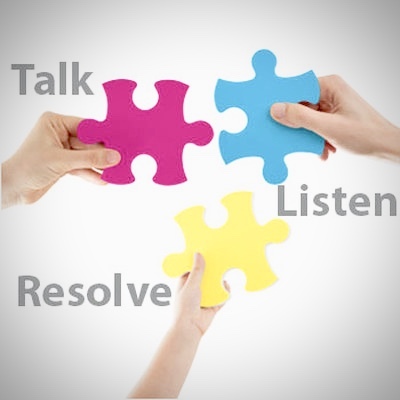 Each peer mediator is creating a safe environment to speak about a problem and come to a resolution amicably. Plus they have the ownership of knowing that they did this without anyone telling them what to do. Students take the title of mediator seriously and say that it has taught them the skills to mediate issues outside of the school. Some have used the tools to resolve issues within relationships, especially to help improve their own family dynamic. Tomorrow’s leaders are stating that this program has made them want to change their school culture, imagine that on a macro level! That is AMAZING! This is a huge step for Alternative Dispute Resolution and we can only expect that it will get even bigger from here. We at FairClaims are so excited and happy to not only be a part of the movement but to see it flourish in the young minds of today’s society.